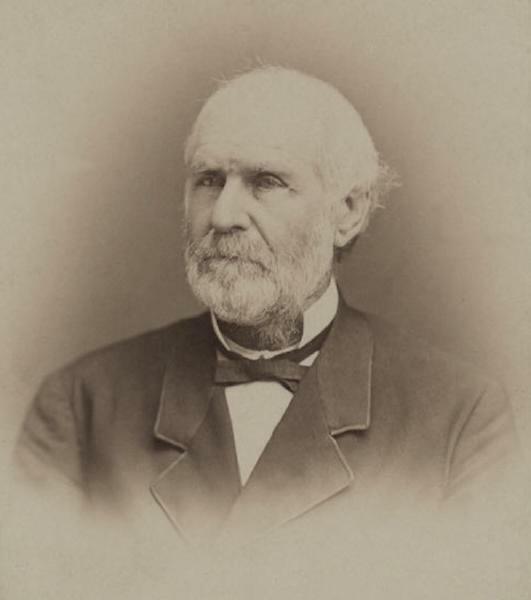 William Augustus Elmore was born on 13 October 1812 in South Carolina. He married Julia Minor on 2 January 1851 in Ascension Parish, Louisiana. William Augustus Elmore appeared in the US federal census of 1 June 1870 in New Orleans, Orleans Parish, Louisiana, enumerated in the household of merchant Edward Pamele.. Other members of the household included Florence Elmore and Minor Martin Elmore. William Augustus Elmore and Minor Martin Elmore appeared in the US federal census of 1 June 1880 in New Orleans, Orleans Parish, Louisiana, at 187 Camp Street boarding in the household of widow Mary Maguire. He was a lawyer, according to the 1880 census. William Augustus Elmore died on 6 October 1890 at age 77 in Greencastle, Franklin County, Pennsylvania. He was interred at Montgomery, Alabama. The following appeared on 7 October 1890 in The New York Herald: Judge W. A. Elmore, of New Orleans, died at the Crowell House, in Green Castle, Pa., yesterday morning. Saturday evening he was in his usual helath, but during the night was stricken with apoplexy. When he was called Sunday morning he did not respond. and when his room was entered he was found unconscious. He continued in that condition until his death. He was about seventy years old. His body was taken to Montgomery, Ala., for interment. He is survived by one daughter, Mrs. Flavius Boles, of Winnipeg, Manitoba. The following appeared on 7 October 1890 in The Daily Picayune: The death of William Augustus Elmore, announced yesterday morning, will recall to the older citizens one who for a long period was prominent at the bar of New Orleans and associated with interesting public events of the era in which he figured. The deceased was born in South Carolina about 1813, and attained the ripe age of 77 years. He belonged to a distinguished family. Franklin H. Elmore, a brother of the deceased, was United States Senator from South Carolina, and other members of the family held high positions. The deceased began his career at the bar here in 1835 in connection with the late distinguished William W. King, and the firm of Elmore & King engaged, during their professional career, in a large portion of the important litigation of their day, subsisted for nearly forty years and terminated about 1872. In 1845, when the Democratic sentiment of the State superseded the constitution of 1812 and established that of 1845, the deceased was appointed Attorney General of Louisiana and filled that high office during the entire incumbency of Isaac Johnson, the first Governor under the new constitution. At that time the Attorney General conducted with the District Attorney all important criminal prosecutions and then not unfrequently for the defense there appeared in criminal cases the great advocates Soure, Grymos, Prentiss, Roselius, Benjamin and others, whose eloquence asserted itself over the juries as well as the popular assemblages of that time. In the natable case of the State against the succession of Francois Xavier Martin, distinguished as the Chief Justice of the State, Mr. Elmore, in his capacity of Attorney General, appeared for the State of Louisiana. At that period the law imposed a tax of 10 per cent on successions accruing to foreigners. Judge Martin's will was in favor of his brother, but the State charged that the real beneficiaries were French subjects, and that the iwll attempted to evade the ten per cent tax. The memory of Chief Justice Martin was dear to our people, and the suit attributing such a purpose to the deceased justice was severely criticised. But berlieving that the grounds existed for the attack on the will, Mr. Elmore did not hesitate to fulfill what he conceived to be his duty. The integrity of the will was defended by Etienne Mazureau, one of the giants of the bar of old. The remains of Martin, the great judge, now rest in the old St. Louis graveyard, side by side with the remains of Mazureau, the great lawyer, whose last great effort was the devense of Martin's will. It would be partiality to ascribe to Mr. Elmore the eminent oratorical power and brilliancy that distinguished many of his contemporaries, but it is entirely accurate to say that his abilities as a lawyer enabled him to bear his part in all forensic encounters with great credit to himself and to the State he represented. The last public office Mr. Elmore held was Judge of the Eighth District Court, to which in 1872 he was appointed by Governor Nicholls. The era when Mr. Elmore was Attorney General has passed away. The events of that time are traditions. The great lawyers of that day are memories. The frost of years is on the heads of those even who linger among us, who can speak from experience of the events and the men of this past era. Of them as of the knights of old, it may be said: "Their bones are dust, their swords are rust, their souls are with the Lord, we trust." Of William Augustus Elmore it may be affirmed he was a good citizen, an able lawyer, and his record as a public man was marked by great efficiency and purity of conduct. The deceased was father of Mr. Minor M. Elmore, formerly connected with the Picayune, who died some eight years ago.